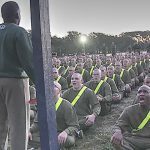 U.S. Marine Corps recruits conduct a three mile run, pull up competition, and crunches during morning physical training (PT) at Marine Corps Recruit Depot Parris Island, S.C. As a part of the Marine Corps Basic Training, the purpose of PT session is to prepare recruits for their upcoming Physical Fitness Test. 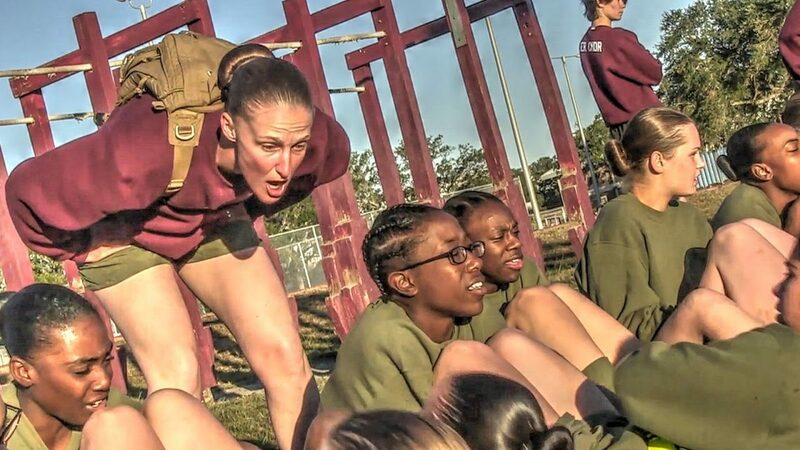 The PFT is the standard test that all recruits must pass. 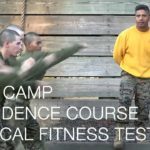 The test consists of a three-mile run, pull-ups (no time limit) or flexed-arm hang, and crunches (two-minute time limit). 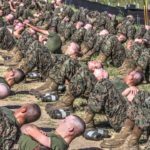 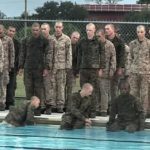 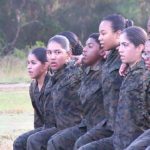 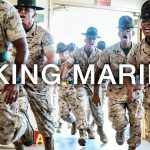 Posted On November 23, 2016 in Marine Corps, Military with 0 Comments.Tagged: cardio, crunches, Female Marine, Female Marine Recruits, Marine Corps Basic Training, Marine Physical Fitness Test, Parris Island, Physical Fitness Test, Physical Training, pull up, pull-ups, rubber band, workout.